the success of the Hunt family of companies has allowed for growth in a variety of industries. In November 1930, H.L. Hunt acquired the Daisy Bradford No. 3 from J.M. “Dad” Joiner near Kilgore, Texas. H.L. Hunt bought the lease out “lock, stock and barrel,” financing the deal with a first-of-its-kind agreement to make payments from future “down-the-hole” production. The Bradford No. 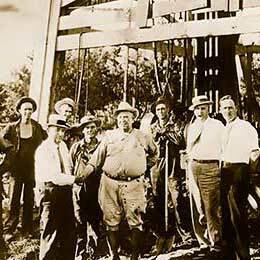 3 turned out to be the discovery well of the great East Texas oil field, which, at the time, was the greatest oil field in the world. Hunt Oil Company was incorporated in Delaware on December 18, 1934. 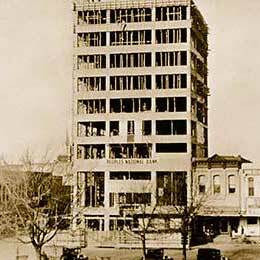 The first office was located in Tyler, Texas. The company moved to Dallas in 1937. Hunt Oil Company founder H.L. 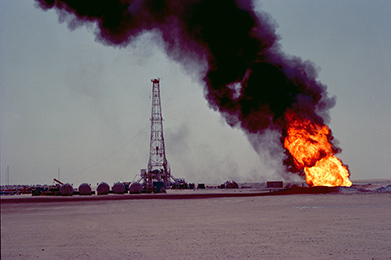 Hunt firmly believed that over-drilling would kill oil fields prematurely. 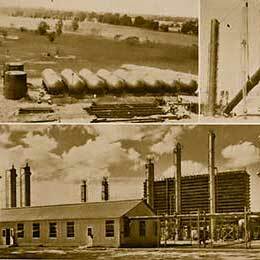 In 1940, the Long Lake Recycling Plant opened. 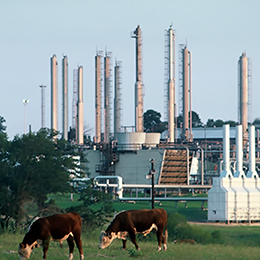 He used this plant to conserve gas and maximize oil recovery from the East Texas field. Two years later, he supported the foundation of the East Texas Salt Water Disposal Company. By reinjecting salt water into a reservoir, good oil pressure could be maintained, and this enabled the East Texas field to supply a large amount of the fuel used by Allied forces in WWII. 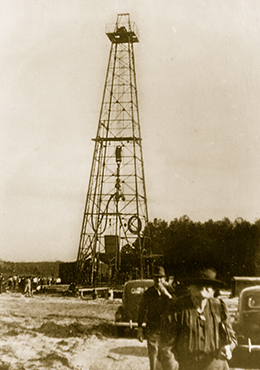 In 1944, Hunt Oil Company developed the first commercial oil well in Alabama. The A.R. Jackson No. 1 well was discovered in the Gilbertown field in Choctaw County, Alabama, near the Mississippi border. Founded in 1946 to process oil from the Gilbertown field, the Tuscaloosa-based Hunt Refining Company is the oldest continually operated refinery in the state of Alabama. 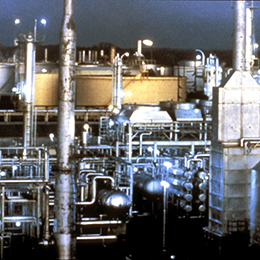 In 2010, the refinery completed a $900-million expansion project. The expansion increased the refinery's capacity to handle 72,000 barrels of crude oil per day and doubled the amount of gasoline and diesel fuel it is able to produce to 55,000 barrels per day. In 1948, H.L. 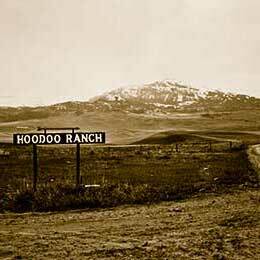 Hunt purchased the Hoodoo Ranch near Cody, Wyoming. The ranch is one of the largest historic ranches in the state. Today, the Hoodoo Land and Cattle Company manages ranches in New Mexico, Montana, Wyoming, Utah, Arizona and Texas, with the Hoodoo Ranch remaining the largest of these ranching operations. 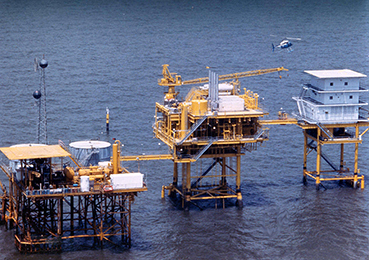 In 1958, Hunt Oil Company purchased six leases in the Gulf of Mexico comprising the Eugene Island Block 77 field. This was Hunt Oil's first major step into offshore exploration. The Fairway Field Hunt played a major role in the development of the Fairway field, a major oil field discovered in East Texas. 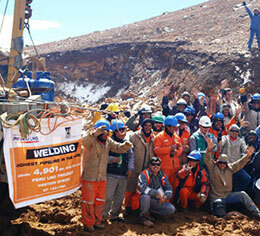 More than 100 major and independent companies drilled in the field. 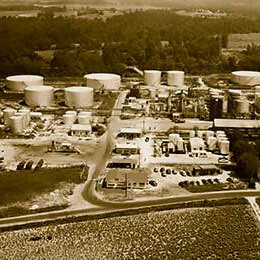 In 1965, Hunt led the effort to unitize the Fairway field, and the company was later chosen as the operator of the James Lime reservoir, which required pressure maintenance to optimize recovery. 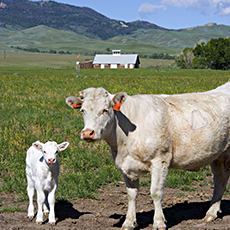 On the Wyoming-based Hoodoo Ranch, they raise Charolais (shar-o-lay) cattle, a French breed of beef cattle known for its all white coat and hardiness. This is a larger and hardier breed that can withstand the cold winters of Wyoming very well. Hoodoo Ranch was among the first to introduce this breed to the state in the early 1970s. Ray L. Hunt, son of H.L. Hunt, convinced the city of Dallas to get involved in one of Dallas' first public-private partnerships. 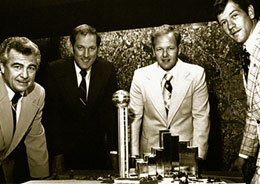 The resulting Reunion Complex—which consists of the Hyatt Regency Dallas Hotel and Reunion Tower, along with the city's Reunion Arena, among other things—transformed an underutilized sector of downtown Dallas into a successful hotel and entertainment center and emerged as one of the most recognizable Dallas landmarks. The plan for the Reunion Complex was approved by the Dallas City Council in February 1974. The Hyatt Regency and Reunion Tower opened for business four years later. After H.L. 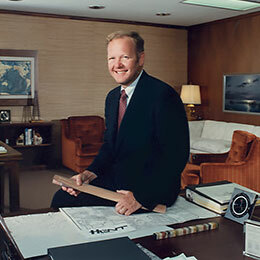 Hunt's death at the age of 85 on November 29, 1974, Ray L. Hunt, at age 32, became Hunt Oil Company's new president in 1975. Hunt Oil Company achieved its first international success with the discovery of the Beatrice field in the British North Sea. 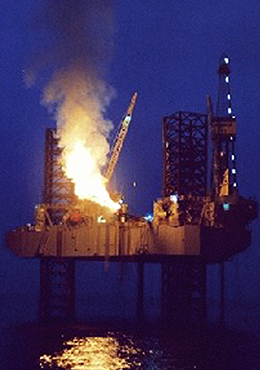 Called by industry media “the discovery of the year in the North Sea,” the project was important, not because of its size (approximately 500 million barrels of oil in place) but, rather, because the rank wildcat discovered oil in an area of the North Sea that the industry believed was nonproductive. This discovery paved the way to greater international finds in the next decade. 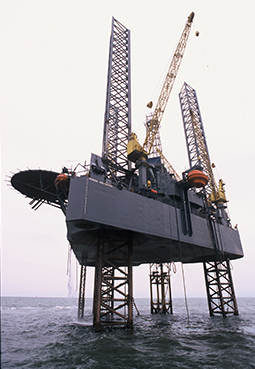 With antiquated computers (by today's standards) and manual stacking of data, Hunt Oil Company managed the industry's first three-dimensional offshore seismic study of the salt dome beneath the Eugene Island Block 77 field. The data led Hunt to identify and drill 17 successful deep gas wells in a row. In the ancient nation of the Republic of Yemen, the company once again defied conventional wisdom to explore for oil where others chose not to look. In 1984, with what was called the “rankest wildcat” the company ever drilled, the Alif No. 1 well discovered the prolific Alif field and a new basin for industry exploration. The same field now fuels a new, world-class Yemen LNG processing plant. 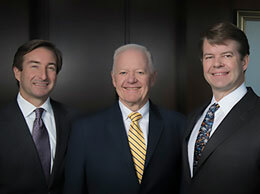 Hunt Investment Group was founded in 1996. Since then, its affiliates have owned complete or partial interests in more than 75 private companies and invested in more than 60 third-party private equity, venture capital and hedge fund entities. The company initiated Hunt Power, LP to seek new opportunities in the electric power industry as part of the restructuring of Texas' electric market. 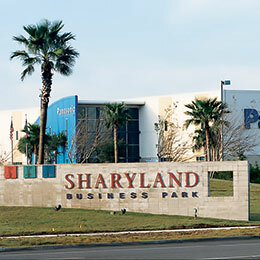 With the signing of the North American Free Trade Agreement, the Sharyland Business Park was developed in 1998. The land, 6,000 acres in the Rio Grande Valley along the border of Texas and Mexico, had been held as agricultural property since the early 1970s. Today, Sharyland is a premier mixed-use development. 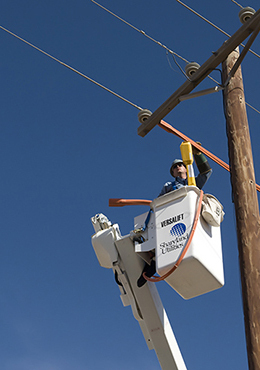 When Sharyland Utilities was authorized by the Public Utilities Commission of Texas in 1999, it became the first greenfield electric utility in the United States since Disney World's Reedy Creek Improvement District in the late 1960s. 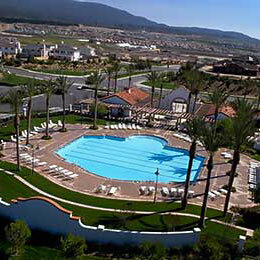 It originally served only the area around the 6,000-acre planned community of Sharyland Plantation. With the financial backing of Hunt Realty, operating partner American Newland became the largest master-planned community developer in the nation. 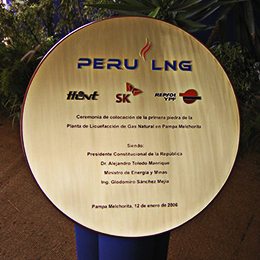 In December 2006, the PERU LNG project was officially launched. The project began in 2000, when Peru's government awarded Hunt Oil Company and its partners the contract to develop the upstream portion of one of South America's largest natural gas resources, the Camisea field. Located in downtown Dallas, Hunt Headquarters was the first large privately owned, single-tenant building constructed in the Dallas Central Business District since the 1990s. The building stands as the company's first fully dedicated corporate headquarters. 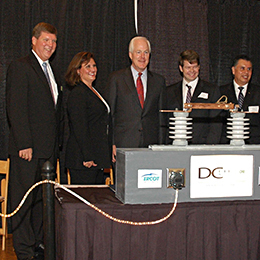 Sharyland Utilities celebrated the completion of the company's first Direct Current (DC) Tie between the United States and the Republic of Mexico on October 10, 2007. 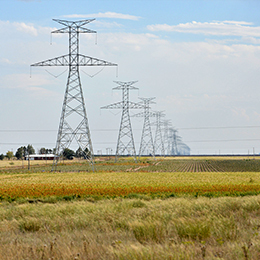 The utility built an electrical interconnection between the Texas and Mexico power grids. The 150-megawatt cross-border tie was the first-of-its-kind to support both emergency power and commercial business activity in Texas and Mexico simultaneously. 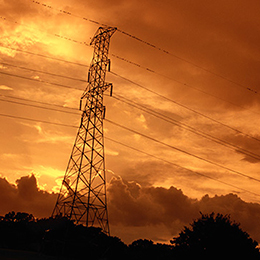 Sharyland expanded the capacity of the DC Tie to 300 megawatts in 2014. Hunt Consolidated, Inc. and its subsidiaries are known for their excellent safety records. This was highlighted in 2008 when there were no lost time accidents for the entire year—across the company. 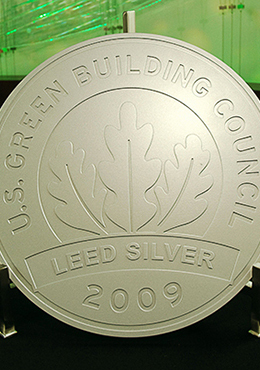 The Hunt Headquarters was honored by the U.S. Green Building Council's Leadership in Energy and Environmental Design (LEED) with a Silver certification for commercial interiors. From the way the building was built to how it runs, all factors were considered. To earn this award the building met stringent credit qualifications in the areas of sustainable sites, water efficiency, energy and atmosphere, materials and resources, indoor environment quality and innovation in design. 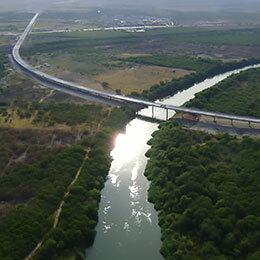 Hunt donated 475 acres of land in Mission, Texas, to help build the Anzalduas International Bridge and highway. The bridge opened on January 11, 2010, and allows traffic between Mexico and the U.S. At 3.4 miles, this is the longest bridge to connect the two countries. 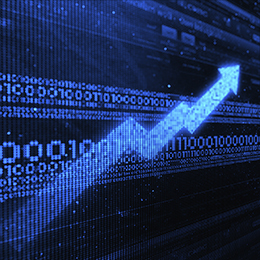 Hunt Power and its affiliates created an investment vehicle to finance electric transmission and distribution assets utilizing a Real Estate Investment Trust (REIT). Today, the entity, which is utilizing this investment concept, is known as InfraREIT, Inc., and is managed by Hunt Utility Services. In early 2015, InfaREIT became publicly traded and is currently listed on the New York Stock Exchange under the symbol "HIFR." 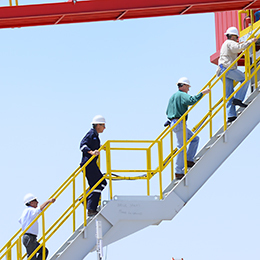 On June 10, 2010, PERU LNG and Peruvian government officials inaugurated the first gas liquefaction plant in South America. The two LNG storage tanks at Melchorita measure 80 meters in diameter and 52 meters in height, with the capacity to each hold 130,000 cubic meters of LNG. The PERU LNG natural gas pipeline reaches an elevation of more than 4,900 meters above sea level as it crosses the Andes Mountains. It runs 408 kilometers from Ayacucho to the Pampa Melchorita processing plant on the Pacific coast of Peru. Guinness World Records certified this as the highest natural gas pipeline in the world. In Dallas, Reunion Tower created buzz throughout most of the decade. A new four-star restaurant opened at the top of the tower in 2009. 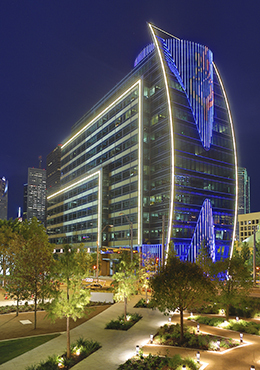 The tower's white lights added color in 2011, bringing design flexibility to the light shows and a new look to the Dallas skyline. 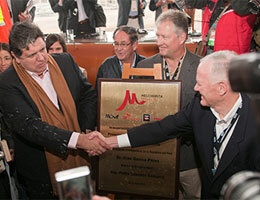 But the biggest news came when the renovated observation deck and an additional restaurant opened on October 5, 2013. 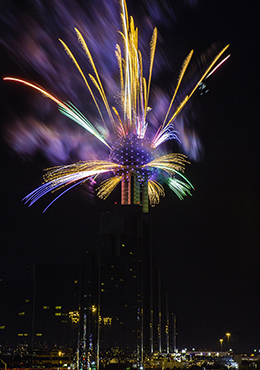 The GeO-Deck and Cloud Nine Café were heralded with a series of events and a celebration that included spectacular fireworks paired with Reunion Tower's light shows. The opening marked the culmination of months of renovations to the observation deck, which had been closed for nearly six years. 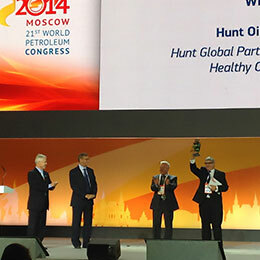 Hunt Global Partnerships was awarded the World Petroleum Council's Excellence Award in Social Responsibility at the 21st World Petroleum Congress. On September 29, 2014, Ray Hunt announced a change to Hunt Consolidated's organizational structure, naming Hunter Hunt and Chris Kleinert co-presidents of Hunt Consolidated, Inc. Ray Hunt emphasized the importance of succession planning, especially in privately owned companies. The new titles were a formalization of the company's operations of the previous four years. On July 1, 2015, Hunter Hunt and Chris Kleinert were also named co-chairs and co-CEOs of Hunt Consolidated, Inc.